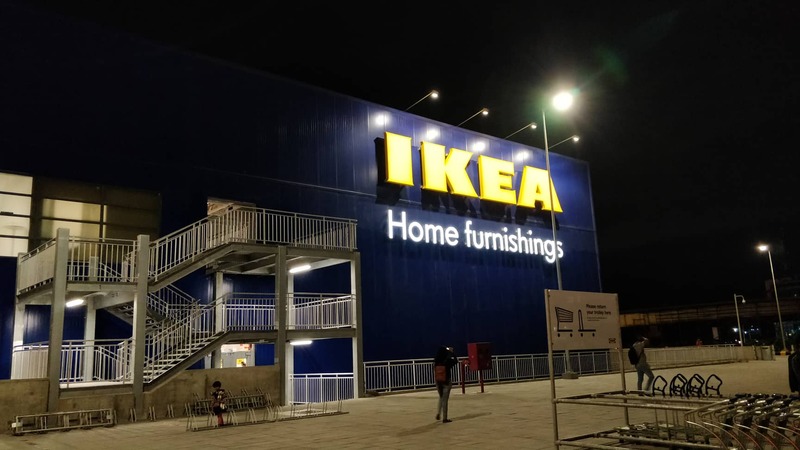 Luckily, when our school’s MUN delegation went there, we entered relatively freely, contributing to the “20,000” average daily customers that visit the lifestyle furniture store. Inside the store were booths and stations of different home furnishings: sofas, beds, tables, and chairs to name a few. Some were even listed to be on sale. Excited by the equipment, we tested it out, often sitting and lying down on various beds and chairs. We even filled one of the large shopping carts — with a ninth grader — giddily pushing it around the well-lit aisles. The guards said nothing. Clothes? Cutlery? No, a ninth grader under the price of Rs. 500! Indeed, it was. Not only were there household products, but there was even a cafeteria, in which one could buy drinks and snacks (but unfortunately for the carnivores in our group, no Swedish meatballs). There was even a kids section, where stuffed toys and other crafts were for sale. The most exciting part of this escapade, however, was the fact that there were hundreds of people surging to and fro the different departments of the building. A place with directions, in India?! Sooner or later, however, one starts to feel sandwiched between so many people on a constant move. Before we knew it, we were back at the exit again, surrounded by the twinkling lights of Hyderabad without a single yellow shopping bag among us. I really like this article, your enthusiasm is so vivid! It’s a really great article. I really love how enthusiastic this article is, it’s just so vivid. I feel like I’m there. It also was pretty funny…I miss being small enough to ride in shopping carts—hope the 9th grader had a good time in the cart.